"Honestly, don't you two read?" 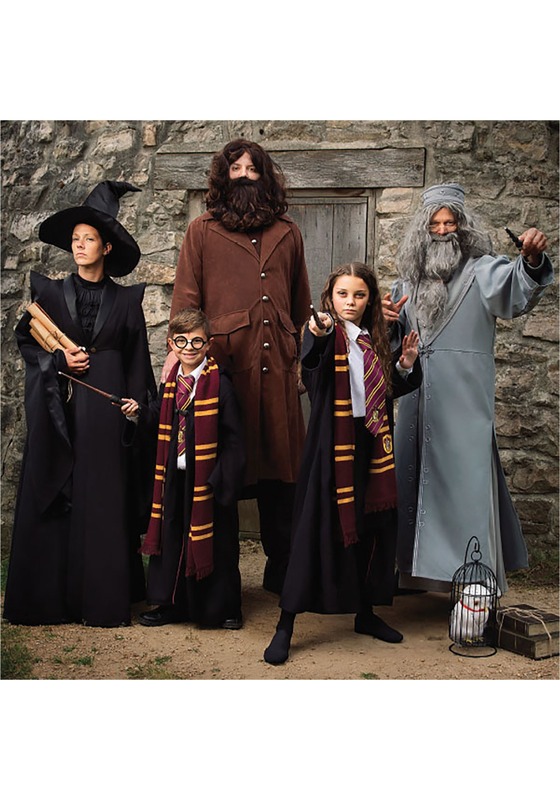 Gryffindor isn't only full of gallant dark-wizard defeating kiddos. Hermione always took the intellectual side of the Gryffindor house very seriously while most other Gryffindors focused on the courage element. While Ron and Harry galavanted across the school grounds, sticking their noses in places that they shouldn't be Hermione was in the back of the library, looking up potions that were far beyond her years. 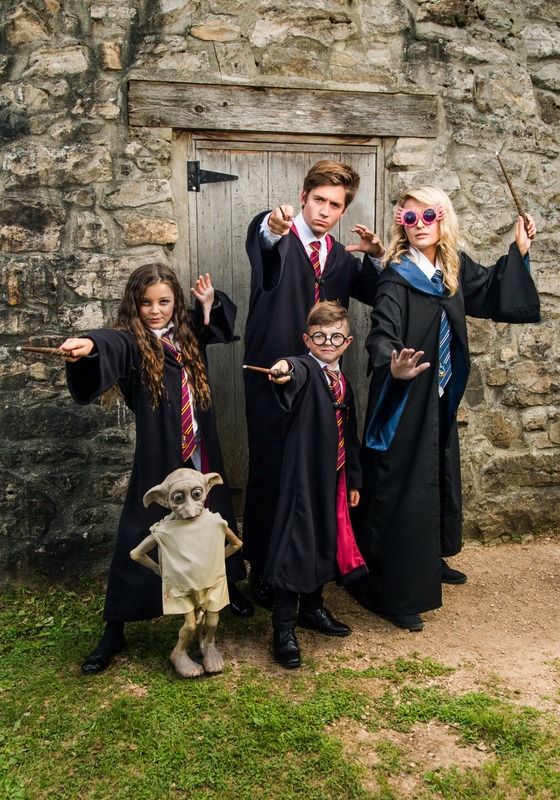 Whether your Gryffindor kid is the type to sneak around the castle or make a sneaky Polyjuice Potion, a Gryffindor is not a Gryffindor without their house robes! 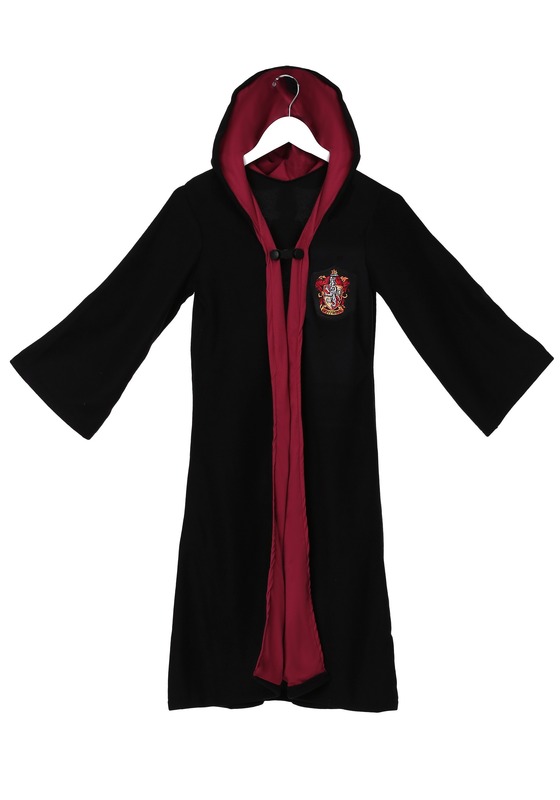 This authentic officially licensed Gryffindor robe is perfect for the Harry Potter fan in your life. 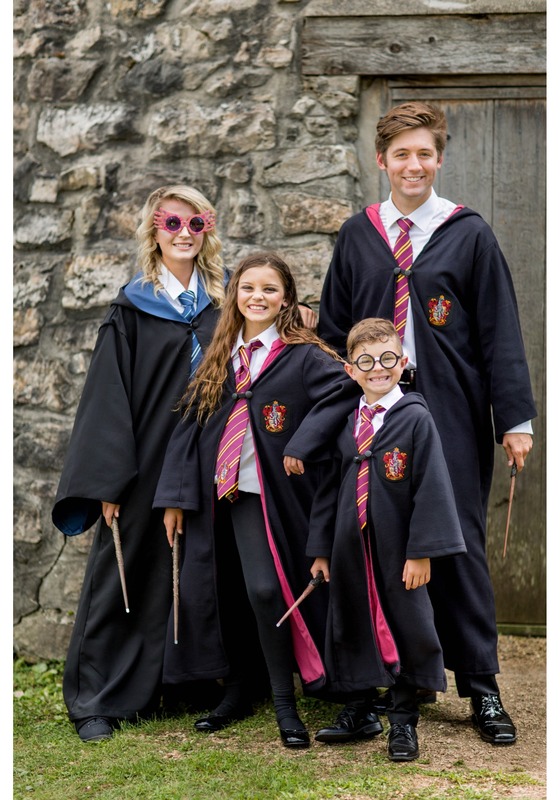 Whether Harry, Ron, or Hermione is their favorite character, this robe will transform them into the character that represents them the best! The robe is 100% high-quality polyester and has a red lining in the hood for added detail. 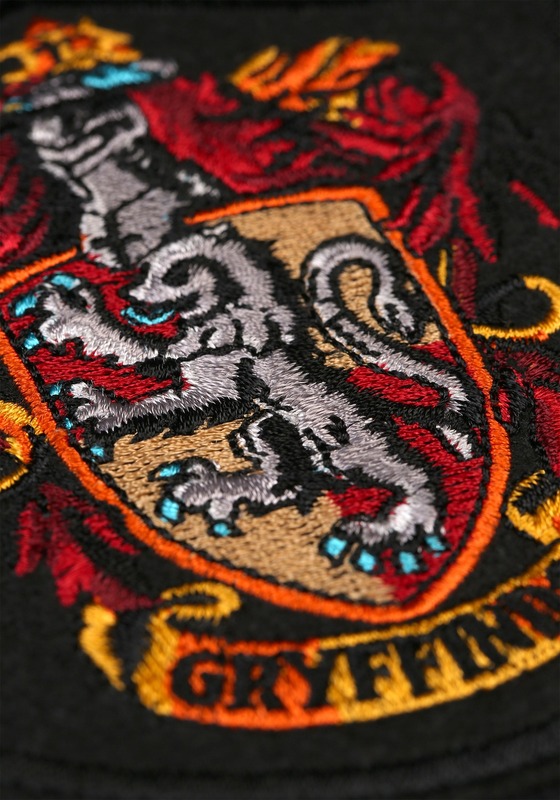 The Gryffindor crest is embroidered on the chest and the neck has a black closure for an authentic touch. 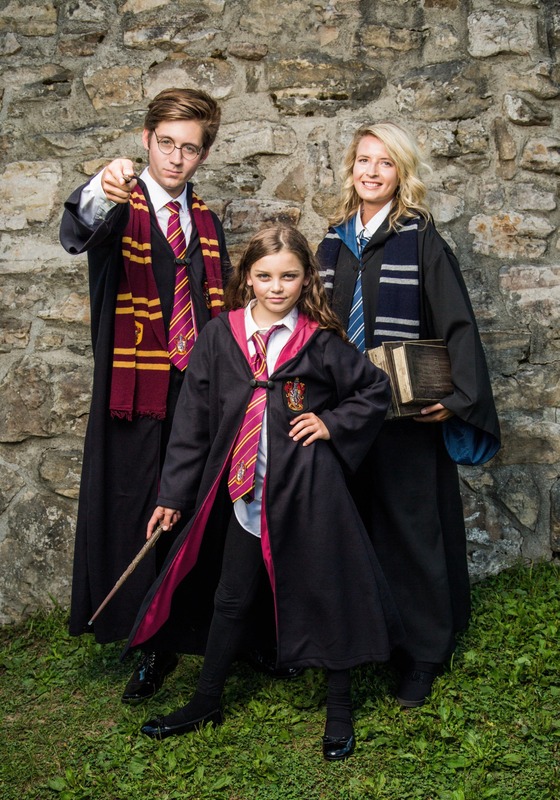 All you need to do is add a Gryffindor tie or scarf as well as a wand of your favorite character to make this Harry Potter costume complete for this Halloween! If you're in Hogwarts and need to know an answer to a question on your practice potions final, there is only one girl to turn to, Hermione Granger. This book smart girl has taken nearly every course the school has to offer, thanks to the handy Time-Turner she got from Professor McGonagall. 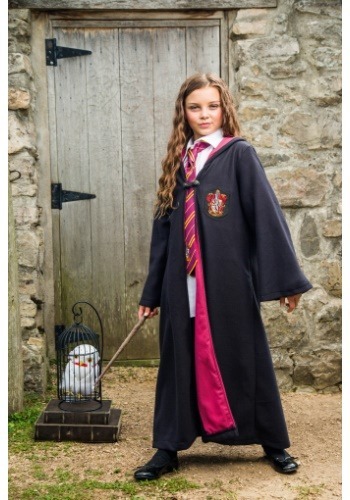 With the knowledge she has amassed from each class she has been able to help out her friends Harry Potter and Ron Weasley when they get in over their heads during their adventures. Now your little girl can become the smartest student in Gryffindor with the help of this robe!